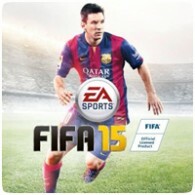 FIFA 15 is still topping the UK games chart after six weeks, but it could be it’s last as Call of Duty: Advanced Warfare releases this week. Minecraft: PlayStation Edition has slipped to 3rd place after Xbox One exclusive Sunset Overdrive takes 2nd. As server issues continue with DRIVECLUB, the game has slipped another 5 places to finish in 16th place.